Join Knit for Peace and LoveKnitting this year, as we take over the Flat Planet Café in central London to celebrate World Wide Knit In Public Day. Celebrity knitters will be joining the event throughout the morning, including Katrina Rosen from MillaMia and Debbie Bliss, who will be holding a knitting999 surgery, hoping to help anyone who is stuck with a knitting quandary. World Wide Knit in Public Day was started in 2005. 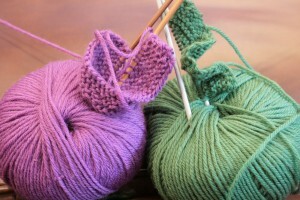 It began as a way for knitters to come together and enjoy one another’s company.